It’s almost time for one of our favorite nights of the year! Do you know where you are celebrating? 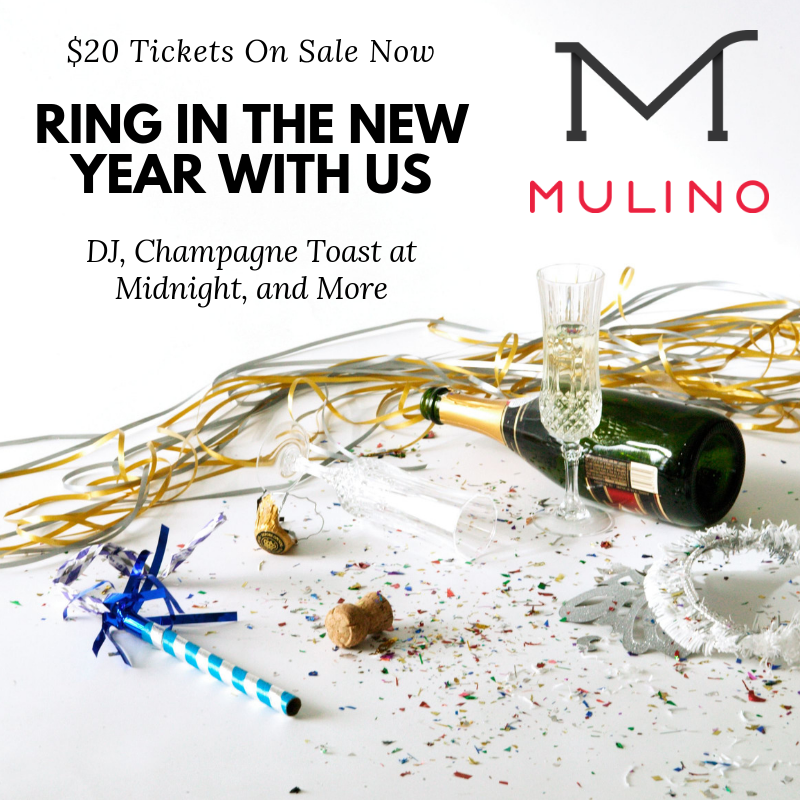 Skip the long lines and high cover charges that you usually find in Downtown Raleigh and celebrate the holiday at Mulino Italian Kitchen & Bar. Tickets are on sale now for just $20! For just $20 you gain access to our party with a DJ and a champagne toast and midnight! Tickets are limited. Purchase yours ahead of time to make sure you do not miss out. The party starts at 9:30 p.m.
Have dinner with us before our New Year’s Eve party begins. We are not usually open on Monday but will be open to celebrate with all of you starting at 5 p.m. Make a reservation at the link below.